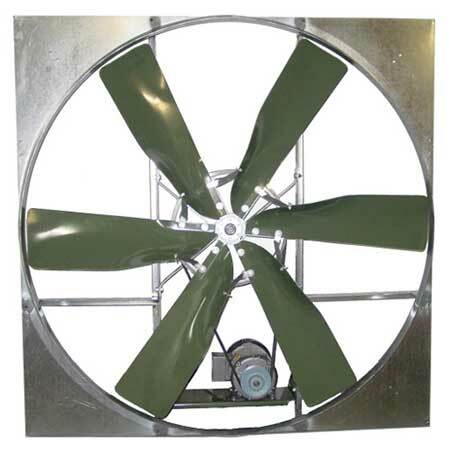 American Coolair’s AL all-aluminum fans are the answer to concerns about rust and corrosion in today’s damp greenhouse environment. 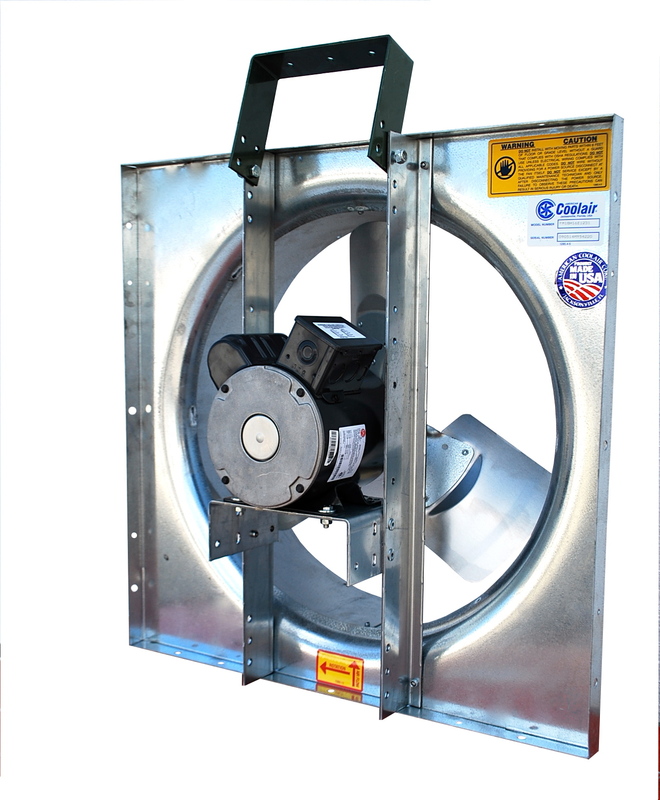 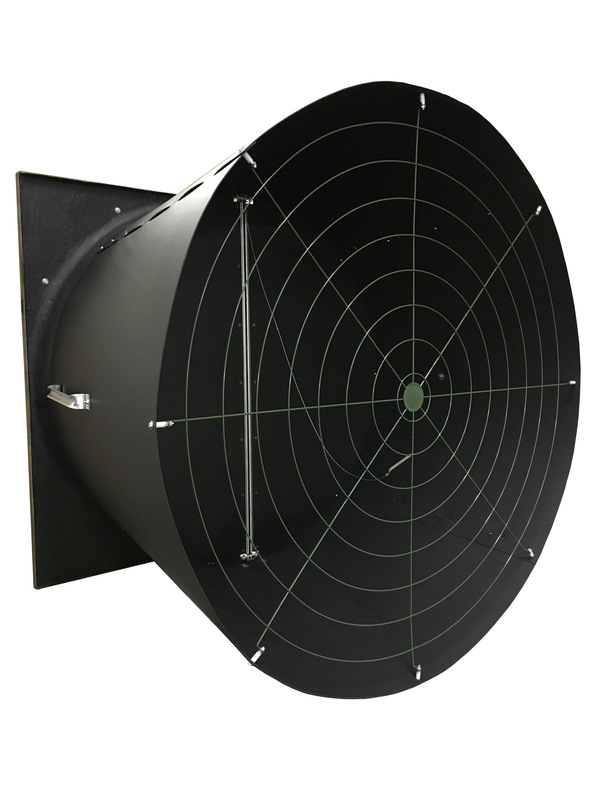 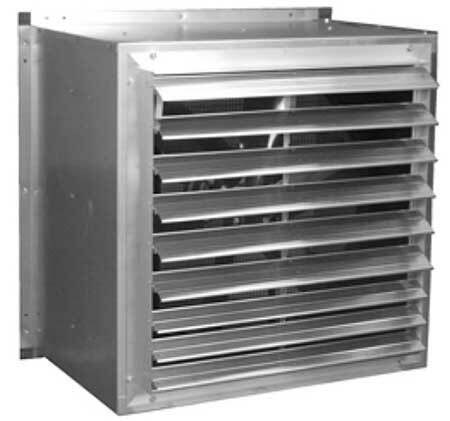 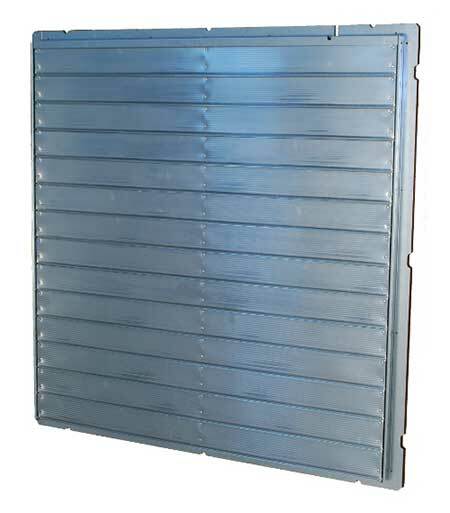 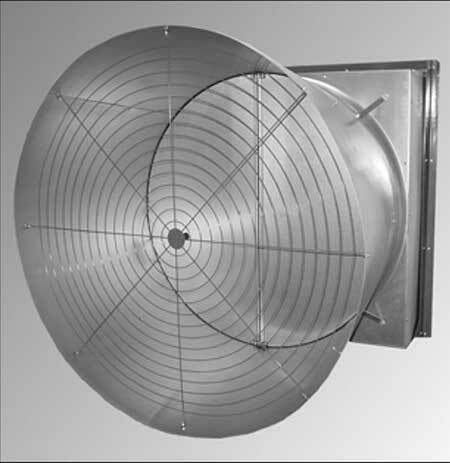 Combined with an aluminum wall housing, an aluminum shutter, and a vinyl coated wire guard, the AL fan will provide years of trouble-free and corrosion-free service. 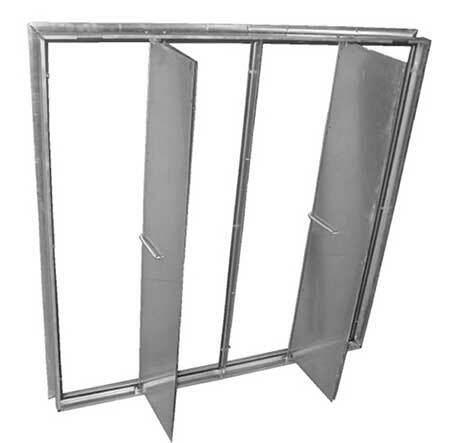 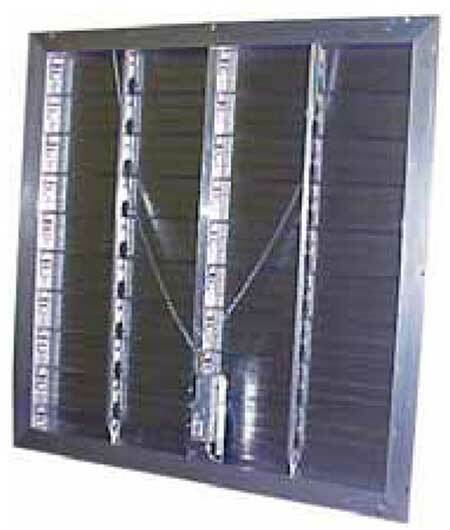 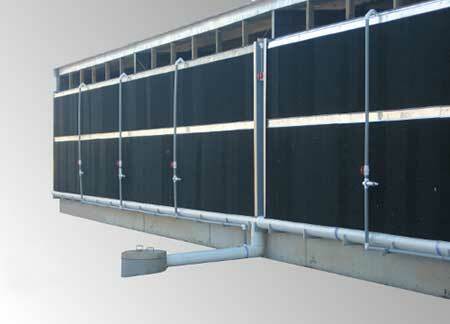 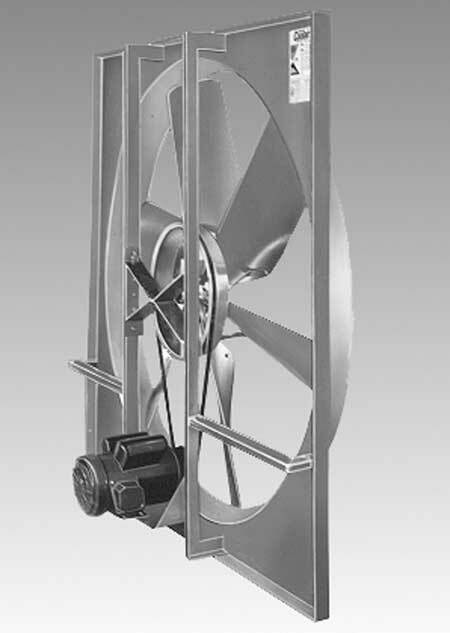 AL fans feature all-welded angle frame construction for a rugged and durable unit. 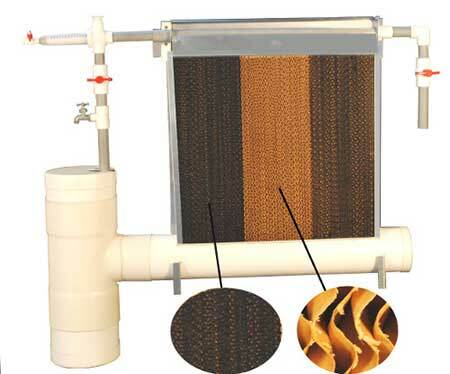 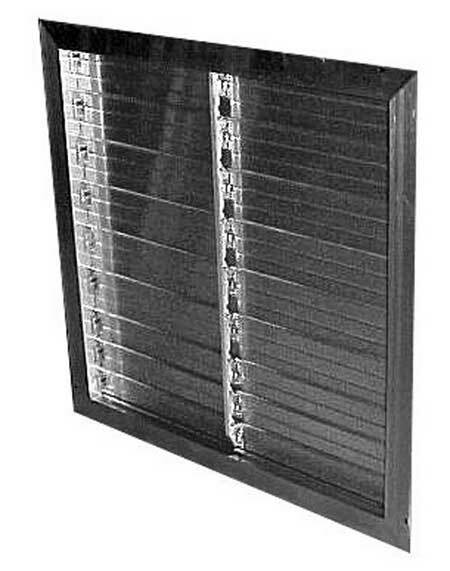 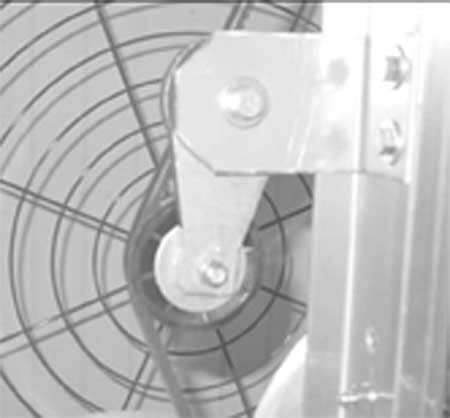 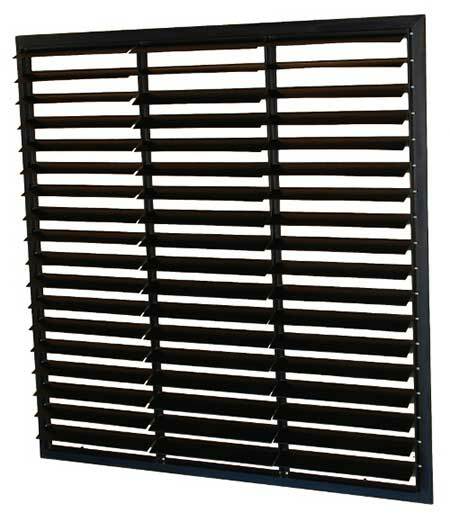 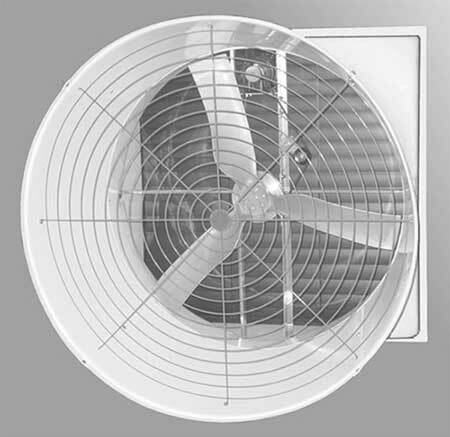 The fan panel has a deep spun orifice for maximum efficiency. 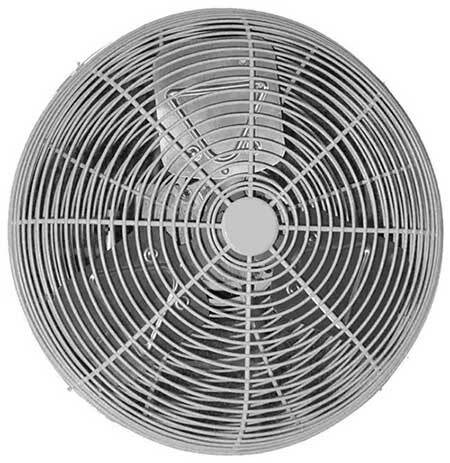 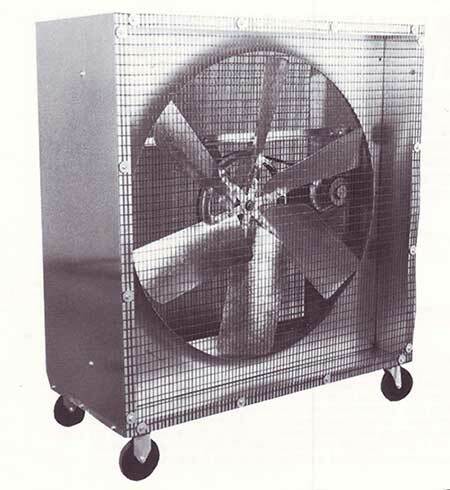 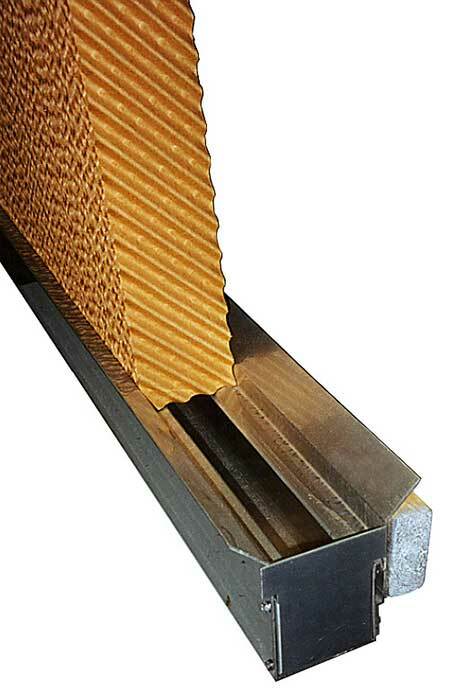 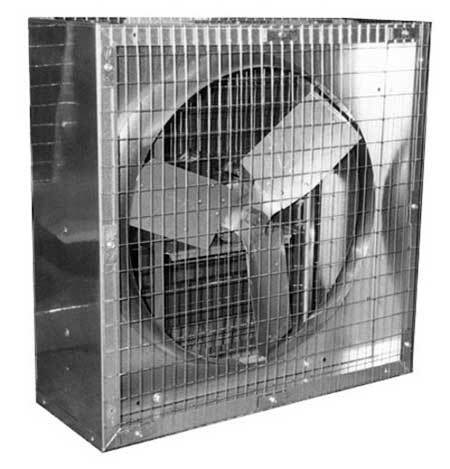 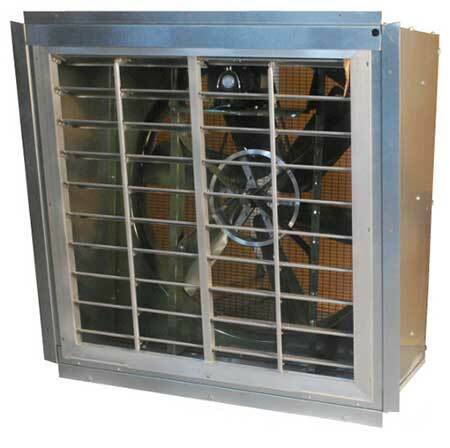 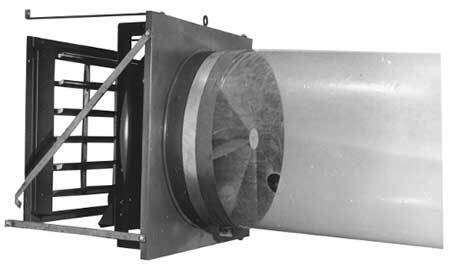 AL fans utilize Coolair’s exclusive drive assembly used on our fans for over 80 years. 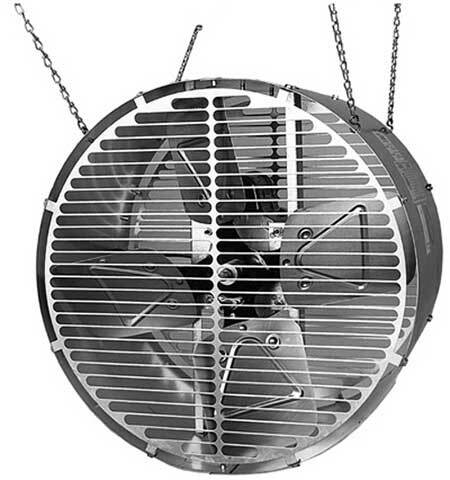 The die-formed aluminum blades are bolted to a cast aluminum hub, which also serves as the fan pulley. 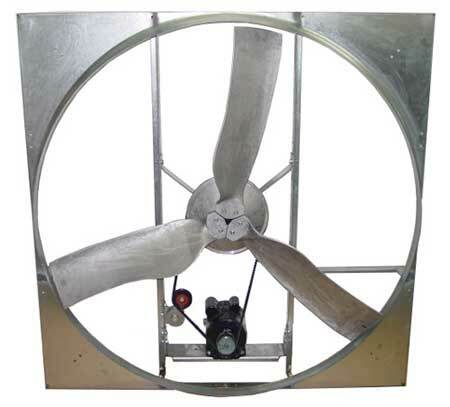 Power is applied through V-belts directly to the propeller with the blade load concentrated directly over the fan bearings, thus eliminating overhung bearing load. 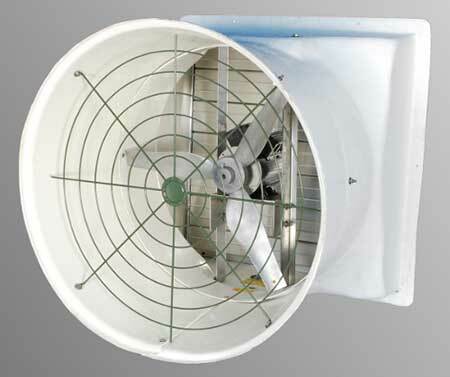 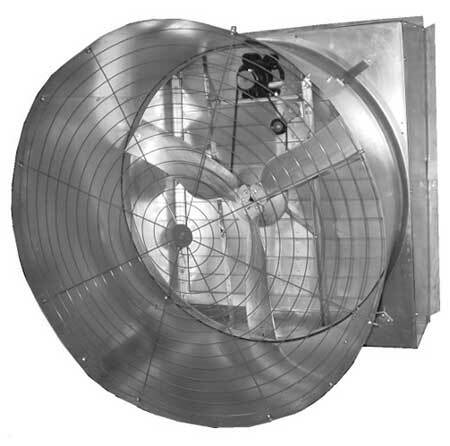 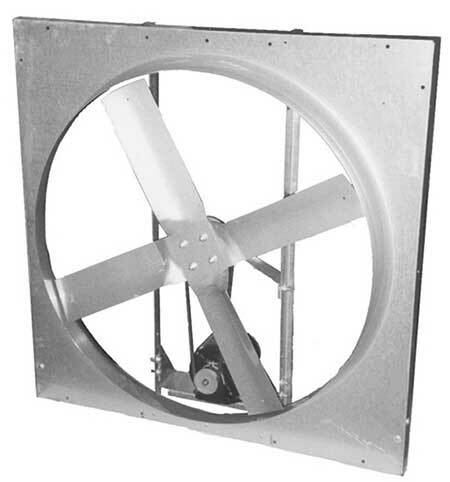 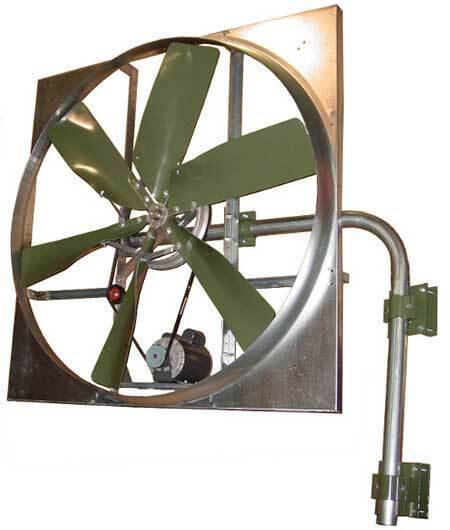 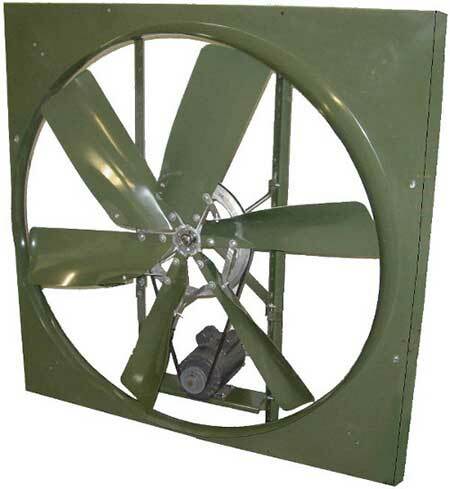 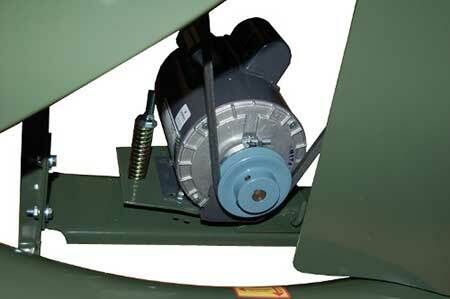 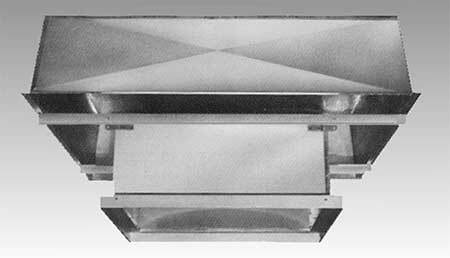 AL fans are available with single- or two-speed totally enclosed motors.